If you are expecting, know someone who is, or have some little tikes running around the house; you are going to want to check out the new mom-run company, Flourish! Flourish is all about moms benefiting and growing together. The products are all mom-invented and sold by other moms. I had the opportunity to try out a few of the products myself, and I do have a few favorites! 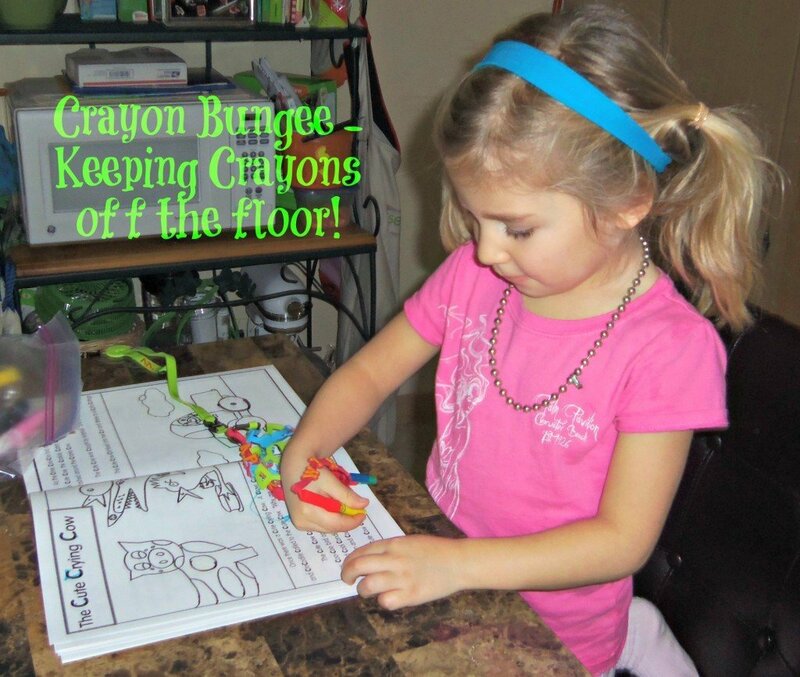 The crayon bungee is great for kids who are always dropping crayons, pens, silverware, and more. It is great for traveling as well, you can always be sure the silverware will stay on the table instead of the floor when you are out to eat! Koverz are great for adults and kids of any age! 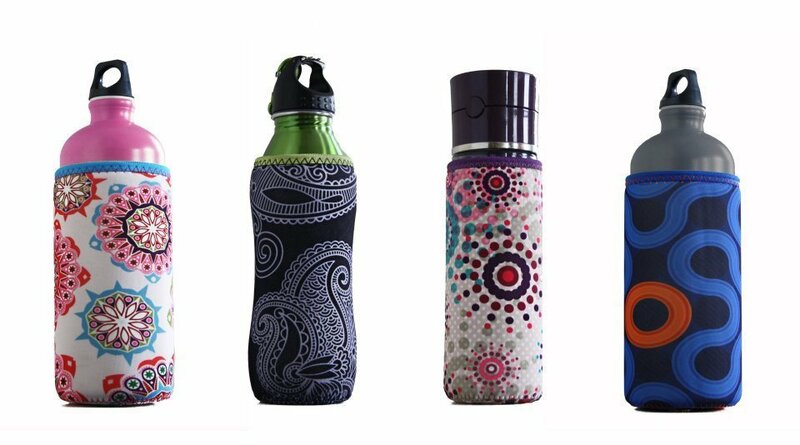 Use these neoprene bottle covers to keep your drinks hot or cold longer. Belle Bottoms are a great way to extend the pant leg on those kids that are just so darn tall and skinny. My daughter is one of those kids! 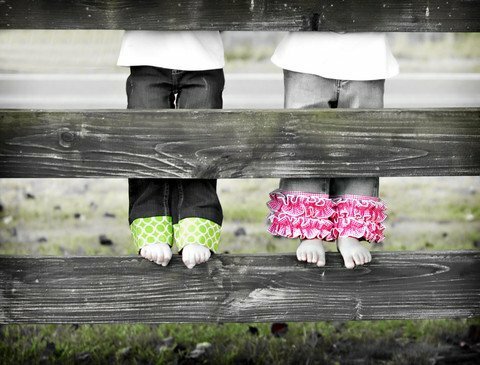 With multiple fun designs, you can add a touch of cuteness to any pants, and/or extend the length by up to 2″ while the waist stays the same (boy and girl designs are available). Sticky Bellies are one of the cutest items in the Flourish line! I so wish I would have had something like this when my kids were babies. You can get boy, girl, neutral, or maternity stickers to help you track your babies growth throughout pregnancy and the first year of their life! Just looking for a great gift? 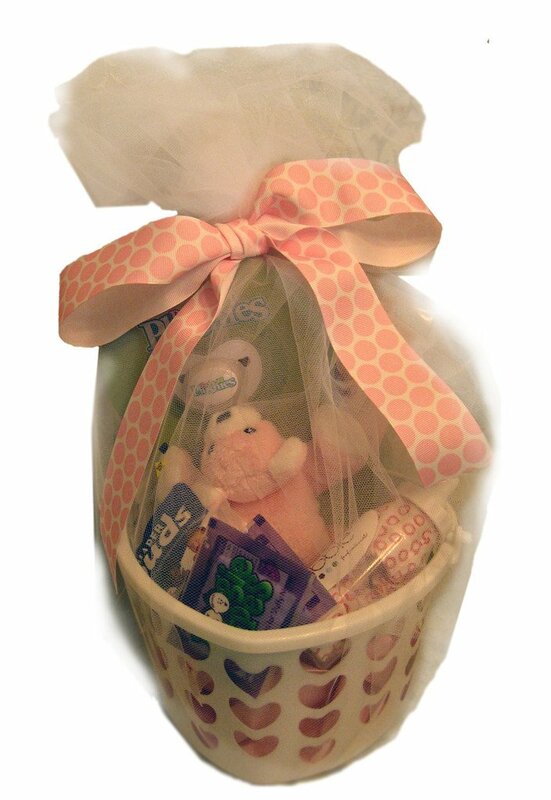 Flourish has a ready made gift basket for your baby shower gift giving needs! You can ship it to anyone, or have it sent to yourself for personal delivery. What could be better than that?! Each gift basket comes with Paci-Plushies universal paci attachment, Sticky Bellies milestone stickers, Bandle bottle labels, Le bibble bottle bib, an individual DiaperBuds diaper, and 2 travel size boogie wipes. Comes wrapped in basket with fabric bow. I loved the Flourish idea so much, I decided to join the team and become a consultant! They offer a great compensation package (or at minimum I can just get awesome product discounts), and really great support! We are taking on a limited 75 more consultants in 2013 (there are 25 now) so the potential to really grow and flourish is great. Ready to start your own business and earn a little extra income? Join my team today! List Jesica H. as your referring lead. Welcome to the Bellies To Babies Giveaway Hop! Our good blogger friend, MamaNYC, decided to host this event in order to celebrate the upcoming birth of her little girl this month. We’ve gathered a great selection of bloggers and amazing prizes geared towards maternity and baby. As part of the Bellies to Babies giveaway hop, I have decided to give away a $25.00 gift certificate you can use at my Flourish site toward any product(s) of your choice! I really love these products and I think you will too! For your chance to win, simply enter on the form below (US 18+). Check out all the fabulous giveaways that are part of this hop by checking out the linky below. This event will run until January 15th, which means you will have plenty of time to enter each of the giveaways listed. PreviousTreat your lady like an Egyptian Goddess this Valentine’s Day with Auric Blends!